The Audi A7 is closely related to the A6 sedan, so if you like what you see but want a more conventional exterior, take a look across the showroom. 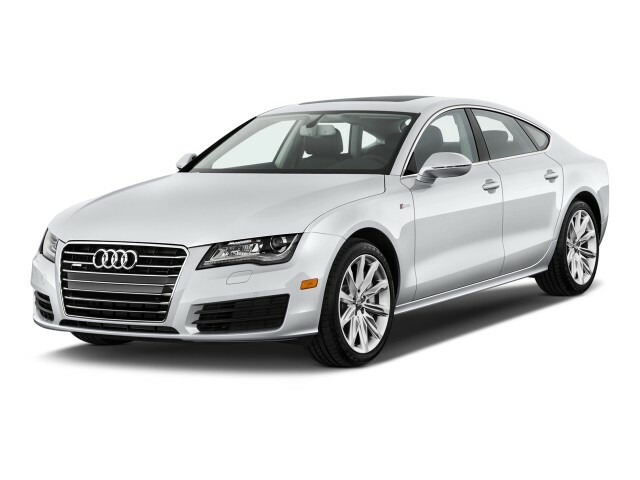 The 2013 Audi A7 and S7 are design standouts, refined performers, and more exciting, practical alternatives to sedans. Somewhere between sedans and crossovers, there's a burgeoning new class of vehicle that has hatchback versatility and four doors, yet also borrows some of the design intrigue and excitement of a sports car. And the 2013 Audi A7 and S7 are perhaps the most distinctive of these models on the market—and arguably the sexiest of this new bunch. Only from the front, the A7 looks much like the A6, with which it shares its mechanical layout, its instrument panel, and most of its feature set. But walk around the A7 and what you get instead of a trunklid is a long hatch, opening up to a long-and-wide, yet shallow cargo floor under the graceful, curved roofline. It's much like that of a grand-touring sports car, only more practical. With the seats down, the Audi A7 and S7 are limited only by the sloping glass in terms of capacity; there's a lot of room here, and a lot of utility—even though the space is a bit shallow. Otherwise it's a top-notch luxury-car interior, with supremely comfortable front seats, although the back seats are a little tight for lanky adults. We have our nitpicks, but the A7 is tops among its class in style, performance, and overall finish. It's quick, nimble—despite Audi's penchant for making nose-heavy cars—and very comfortable at sane speeds. To the point, the A7 is more of a full-size sport sedan than a sports car, but it's well-mannered, engaging, and very fun to drive. Power for the A7 comes from a 3.0 TFSI V-6, a direct-injected, supercharged V-6 making 310 horsepower, delivered smoothly through an eight-speed automatic. Meanwhile, the S7 steps up the game with a new turbocharged V-8 making 420 hp and capable of getting to 60 mph in 4.6 seconds. 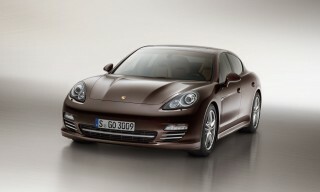 It instead has a seven-speed S tronic gearbox. Both models have Audi's latest rear-biased version of quattro all-wheel drive, and in either case gas mileage is pretty good, at 18/28 mpg for the A7 and 17/27 mpg for the S7. Both are adept handlers, but the S7 has fluid road manners and outstanding acceleration that are tough to pass up. In addition to the phenomenally good interior appointments, it's technology that also makes the A7 a standout. Most of the gee-whiz gadgets have trickled down from the A8 into the A7 and are either standard, or available for a little extra cash. A night-vision display, blind-spot assist, and a system that can anticipate a collision all elevate the A7's safety roster above many luxury sedans. It also inherits a number of features from the brand's latest A8 flagship—including 3D Google Earth maps with Sirius Traffic updates, Google Voice search, an awesome Bang & Olufsen sound system, Audi Connect (wireless hotspot), and MMI Touch, which lets you enter destinations, phone numbers, and the like by simply tracing a letter or number at a time on a little scratchpad. Refreshingly different, yet classy and cohesive, the 2013 Audi A7 and S7 are among the most beautiful designs on the market. Design-wise, the 2013 Audi A7 and S7 really stand out. Looking at these models' distinctive silhouette, there's been nothing quite like them in recent automotive history—and that's even including models that some would call rivals or alternatives, like the Mercedes-Benz CLS or Porsche Panamera. Altogether, the A7's mix of flowing, smooth sheetmetal and chiseled details give it a somewhat more aggressive look than most of Audi's main-line sedans, yet compared to those other fastbacks or fastback sedans, it's much more graceful. The A7 may be a throwback to older European oddities like the Rover SD1 or Citroen CX. The sheet metal has already sparked a debate among enthusiasts, but we'll only wade in to say that it's gorgeous—with just a hint of quirkiness. From the back, the A7 can look a little bulbous, but otherwise the design is cohesive and different, mating an aggressive front end design that most of the Audi lineup now has in common with nicely sculpted side sheet metal and a unique fastback-coupe tail. Key differences that help distinguish the S7 from the A7 include S7 logos throughout, special matte-black brake calipers, and a couple of S-specific alloy wheel designs. S sport seats are also included inside, along with several special trim and inlay materials. The 2013 A7 feels athletic but not all that edgy--that's where the brilliant S7 takes over. Very smooth, yet distinctive and powerful are observations we might use to describe the style of the 2013 Audi A7 and S7, but that also describes the way they drive. The A7 “wafts” up to speed in a way that most other luxury sedans in this class don't, with a near uninterrupted wave of torque coming from the engine and the transmission always up to task in delivering it smoothly. There's nothing unobtrusive or jarring about the A7, but the S7 makes some room for stronger performance and a little more driver involvement. In following trends that hold true nearly across the entire auto industry, the A7 gets an engine that's probably smaller than what might have been installed in it a few years ago; yet it's very strong and responsive. The supercharged V-6, dubbed TFSI 3.0, makes 310 horsepower and 325 pound-feet of torque and can get the A7 to 60 mph in just 5.4 seconds. At 18 mpg city, 28 highway, it arguably has V-6 fuel efficiency. That supercharged V-6 is mated to an 8-speed automatic that we've already sampled in the A8, and it's an excellent companion. The A7 sports manual controls, but we're not sure those are entirely necessary. Audi's complementary system, dubbed Audi Drive Select, cycles through four different modes (Auto, Dynamic, Comfort, or Individual) to control the way the transmission reacts, the steering heft, and throttle sensitivity. While we like the overall feel behind the wheel of the A7, it's not entirely communicative nor is there much feedback coming through the steering wheel. Sport-sedan shoppers may be looking for a more direct experience, but drivers looking for a comfortable ride in a fashionable package will be pleased with the A7 and its sporty potential. The 2013 Audi A7's ride quality is comfortable, but firm, which means if you live in a suburb with dimpled stretches of well-worn, excessively patched roads you may get a little tired of the action. Over moderate patches, tight roads, and choppy stretches of interstate, we found the ride to be adequate—almost sedate in situations that we'd expect sports cars to work up a sweat. The A7's suspension manages to soak up most imperfections without being too soft or bouncy. That light feeling and measurable control is thanks to an heavy diet of aluminum in the A7; more than 20 percent of the body is made of the lightweight metal, and the doors, fenders, hood, and rear hatch are all composed of the material. According to Audi, using aluminum instead of steel has resulted in a 15-percent lighter vehicle. In either version of this sleek five-door you get the latest performance-oriented version of Audi's quattro all-wheel drive system. It normally sends 60 percent of torque to the rear wheels, but it can send more to the front or rear wheels for better traction. It's configured to help optimize cornering and grip—and it's also a good choice for all-weather traction. To appeal to those more focused enthusiasts, there's the S7, which gets a 420-hp twin-turbo V-8, combined with a seven-speed S tronic transmission and steering-wheel paddle-shifters. It's capable of getting to 60 mph in less than 4.9 seconds, and it includes the adaptive air suspension, with sport tuning, special wheels, and upgraded brakes. First off, the engine. The twin-turbo eight tucks a pair of turbochargers in the valley between the cylinder banks, with an intercooler riding atop the engine. Audi says it's the most compact engine of its kind in the world—and one of the most efficient since the 420 horsepower and 406 pound-feet of torque also use cylinder-deactivation technology to shut off a bank of cylinders under light engine loads. 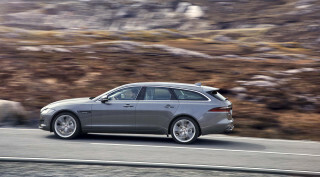 The net is 17/27-mpg gas mileage—and a 0-60 mph time of 4.5 seconds, and a top speed of 155 mph. It's a torrid piece under the gun, with immediate and brisk acceleration, and it's a bit indecisive when pulling away from a stop—the coordination of stop/start, a many-geared dual-clutch transmission and a percolating pair of turbos catches the S7 in a stumble every so often. There's a seven-speed, dual-clutch transmission to work over via steering-wheel paddles on the S7. Its flavor of quattro comes standard with a sport differential that locks up more frequently for better power control, while the S7 also gets its own air suspension with variable ride height and distinctive tuning for Drive Select. The S7 is one application where Drive Select works well enough for us. The three settings give it a wide range of driving personalities—and in Dynamic mode, the suspension height is lowered, and the steering and throttle and transmission respond more quickly. Flick a paddle and the gearbox answers almost immediately, while the throttle picks up without getting overzealous. The S7 tucks into corners with a lighter feel than its 4000-pounds-plus curb weight might predict, and even if it's not a true sportscar and has enough understeer cushion to go around, it's a brilliant road car with multiple and complementary driving modes. Comfort mode's better for a relaxed interstate cruise, of course, and Auto mode lets the car choose the setting of the now. You can really tweak Drive Select into unhappy settings via the Custom mode. We'd set to Comfort for regular use, and snick into Sport when the right window in traffic appears. The rakish roofline of the A7 and S7 doesn't affect interior space as much as you might think, and the cabin is comfortable, quiet, and nicely detailed. At first glance, the 2013 Audi A7 and S7 Sportback models (which have nearly identical interior accommodations) look long and wide, but their low, sleek body style makes it a bit hard to size up next to sedans. By the numbers, the A7 is a little longer (196 inches) than today's typical U.S. mid-size sedans; and while it's relatively wide, its low 55-inch-tall roofline really does put it at a height with some sport coupes. What that means is that the seating position is relatively low, and that getting in and out is by no means like some other odd new designs such as the Acura ZDX (that's more of a utility vehicle). Provided you don't have too many lanky passengers in the A7, there's enough space for four adults to get comfortable, while up front the comfort is almost without bounds thanks to highly adjustable seats. Two adults should fit fine in the rear bucket-style seats. The headliner has been scalloped out to accommodate taller adults, but we've found that the dramatic roofline can still be a little unsettling. One thing bothered us a bit: Perhaps because of side-impact crash requirements, the driver's seat isn't centered on the steering wheel. It's not a big deal though, as the low-set instrument panel is canted slightly toward the driver, pushing forward organically at the corners to enhance a feeling of spaciousness. The A7's cargo space is definitely better than that of a typical sport coupe, though you will need to watch the hatch glass when closing it. Rear seatbacks fold forward to expand the space, which is a little shallow if you're sizing this up by utility or wagon standards but far more flexible than a sedan's trunk. The cabin is meticulously shielded from vibrations and harsh noises by the A7's suspension and subframes that are isolated with hydraulic dampers. A rear-mounted spoiler extends from the hatch at 80 mph for better downforce aerodynamics at high speed, and retracts below 50 mph for a smoother shape. A frameless door system that's typically used in coupes and convertibles helps seal out wind noise with sublime effect in the A7. The A7 and S7 has active-safety options go well beyond the usual roster of airbags. The Audi A7 (and S7) haven't yet been crash tested by either of the U.S. agencies; and in all likelihood, because they're relatively low-volume models, they likely won't be. Even relative to more expensive luxury sedans, there's nothing missing from the A7's list of standard or available safety features, and there are actually quite a few high-tech features that could help you avoid an accident. The A7 comes with emergency braking assist and strong xenon HID headlamps, while options include adaptive cruise control, active lane assist, Audi side assist, and an Audi pre sense system that sounds a warning chime if it's anticipating a collision. Also available on the A7 and S7 is a special night vision assistant can highlight objects, people, or animals ahead in yellow or red, and give audible warnings, based on thermal imaging technology. And for 2013, there's also a new corner-view system added to the A7's options list. The Audi A7 and S7 are loaded with cool connectivity features like Google Earth maps and a pad that lets you trace out letters, Palm Pilot-style. Altogether, in the 2013 A7 and S7 Audi has withheld very few of the features that are offered on its more expensive A8 flagship—which makes us wonder if the A7 might just draw some shoppers across the showroom. Put some extra money put into options, and you can get some of the most advanced high-tech comfort, information, and entertainment options. The A7 is offered in Premium, Premium Plus, and Prestige models, while the high-performance S7 comes only in Prestige guise. Premium includes18-inch wheels; twin bucket seats in back; Drive Select; Bluetooth and iPod connectivity; a sunroof; stop/start; satellite radio; and ambient lighting. Premium Plus adds on 19-inch wheels; a rearview camera; Audi Connect (see below); keyless entry; HD radio; and navigation. Prestige models step up to adaptive xenon headlamps, Bose audio, heated-and-ventilated front seats, four-zone climate control, cornering lights, and a power-adjustable steering column. Massive 20-inch, 10-spoke wheels are optional, as are blind-spot monitors. Other options include adaptive cruise control with stop-and-go functionality, night-vision camera systems, and a Bang & Olufsen audio system that includes 15 speakers and dramatic tweeters that rise from the dashboard when you turn on the car. An Innovation Package combines most of the active-safety extras into one $5,600 price tag; the B&O audio alone is a $5,900 option. 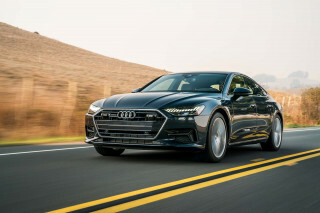 The A7 can be optioned up with a set of features grouped as Audi Connect, including the capability to turn the vehicle into a wireless hotspot that can simultaneously accept connections from up to eight WiFi-enabled devices. Among the features included in this awesome interface are 3D Google Maps (that update quickly enough, as you're moving, to see topography and terrain ahead). There are also Sirius Traffic updates for the navigation system, and they can be overlaid on the imagery from Google Maps, if that isn't complete information overload (and, kind of a map geek's dream). Audi says they've improved response of their voice-input systems in the A7, largely with help from Google Voice Local Search that listens for keywords then returns potential destinations. Google's system also looks for details on hotels, restaurants, or nearby points of interest that can be displayed on the map. Real-time traffic, weather, and news are displayed on the system, including gas-station prices. An online Google Map plug-in, called myAudi Destination, also will store up to 50 destinations to be retrieved in the car. A touchpad with handwriting recognition called MMI Touch is the centerpiece of the infotainment system. Everything from destination entry to scribbling in phone numbers is possible on the touchpad, albeit one letter and number at a time. With a little practice the system is easier and less distracting than a touchscreen or pointer-based system, according to our fingertips and eyes. Compared to other luxury sedans (or fastbacks), the 2013 Audi A7 is quite green--though the S7 is thirstier. For a large all-wheel-drive car with supercharged V-6 performance, the 2013 Audi A7 lineup earns fairly good gas mileage. 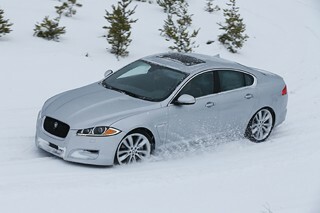 Its 18 mpg city, 28 highway EPA ratings are better than some other all-wheel-drive sedans that are smaller and lighter. We can give credit to the 8-speed transmission for part of that. The gearbox has a wide range of gears, including a tall top gear for long highway jaunts. From what we've seen, the A7 is fairly green in the real world, too, if you show some restraint. Over about 120 miles of driving in mixed, mostly relaxed driving conditions, we saw an average of nearly 22 miles per gallon. But we noticed that as soon as we dipped into the supercharged engine's reserves, our averages dropped noticeably. 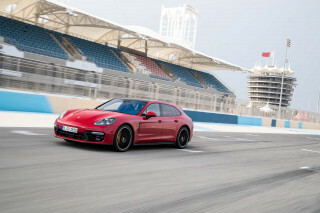 The high-performance S7, with its 420-horsepower turbocharged V-8, is actually nearly as efficient. It has 17/27-mpg ratings. It's worth pointing out that the A7 manages just 1 mpg better overall than the larger A8 L sedan, which has a considerably roomier interior and much more backseat space. If you're OK with a model that's much more conservative in appearance and feel, the Mercedes-Benz E350 Bluetec gets an EPA-rated 33 mpg highway. Outstanding automobile in all respects. This car excels in all categories. The "S" model has an extra 100hp but this gets one anyplace they need to go as quickly as you wish. 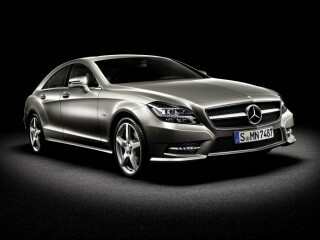 If you are a car guy and love to drive this is your car.